From delicious tapas to the flamenco to energetic fiestas, Spain is an intense experience of culture, history, and tradition all rolled into one. 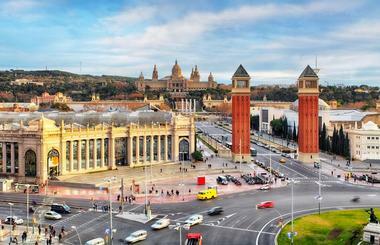 Spain is a country that quickly endears itself to visitors and can very easily become a travel addiction. No matter the season, there are fantastic sights just waiting to be discovered, incredible events to participate in, and delectable eats to sink your teeth into. 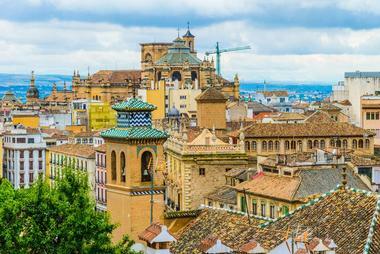 Here are the best places to visit in Spain. There are hundreds of reasons to visit the jaw-dropping city of Barcelona, but perhaps the most alluring is its architecture. If there’s one thing you can count on looking forward to in Barcelona, it’s the otherworldly architecture that spans the entire city. A center for home-grown Catalan architecture, Barcelona is both modern and contemporary at the same time, making it a jewel of a city to visit. Hop on the metro and visit stunning neighborhoods like Les Corts and Pedralbes or Sant Andreu, or simply set off on foot to discover areas like the Sant Martí and Ciutat Vella. 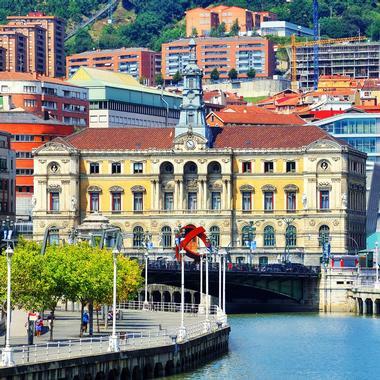 Practically oozing cultural heritage and art, Bilbao is Spain’s gateway to the Basque cultural universe and is bound to make a perfect holiday destination for families, couples, and solo travelers alike. The de facto capital of Basque Country, Bilbao is an industrial port city in the north of Spain and a shining example of urban transformation. While it might not have the same architectural beauty of other Spanish cities, Bilbao offers a different perspective on Spanish art. One of the must-see locations in the city is the famed Museo Guggenheim Bilbao, which was designed by Frank Gehry and opened in 1997. Revel in prominent modern and contemporary works of art in an eye-catching titanium building that absolutely commands attention. Behind its identity as a major European center for the arts, however, are the hard-working culture and down-to-earth atmosphere that truly captivate and ensnare the hearts of visitors from all over the globe. Founded in 884, the city of Burgos, also known as the “Land of Castles,” is charming, memorable, and deeply rooted in its medieval history. The charm of this town comes from its northern Castilian ambience and a scattering of medieval monuments like the Cartuja de Miraflores and the Abbey of Santa Maria la Real de Las Huelgas. As stunning as these sights are, the main draw of the town is the extraordinary and imposing Gothic cathedral. A shining example of Spain’s incredible religious architecture, it is a commanding presence in Burgos’ skyline and a definite must-see. Since Burgos is a generally clean and quiet city, visitors are welcome and encouraged to explore the city on foot to discover some of the lesser known but equally beautiful parts of the area. Who knows, you may even find an exquisite restaurant or two. Situated on the highest navigable point of the Guadalquivir River, Cordoba is a port city that was originally founded by the Romans. However, it wasn’t until the city became the capital of Al-Andalus, the Moorish kingdom of Islamic Spain, that Cordoba rose to prominence as one of the top cities to visit in the country. 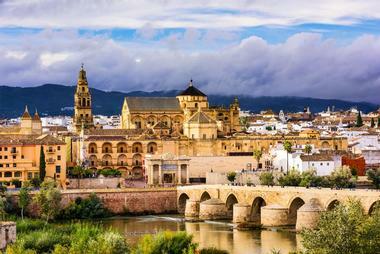 Awe-inspiring and a treat to the eyes, there is no doubt that Cordoba is one of Spain’s most beautiful cities. In fact, it was so beautiful that when it was reconquered by Christians in 1236, most, if not all, of the city’s architecture was left standing. A great place to explore on foot or by bike, the top draw of the city is undoubtedly the mesmerizing Mezquita, which is one of the world’s largest and most iconic Islamic buildings and even has a cathedral built in the center of its many arches and columns. Whether you’re in Cordoba to explore its Islamic architecture or to explore other sites like the Judería, which is the old Jewish quarter, the history and beauty of this city will be unforgettable. 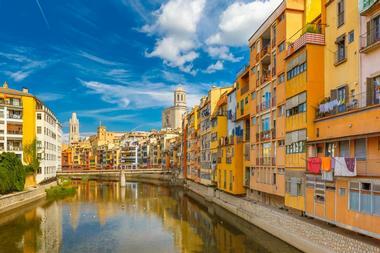 Sitting peacefully by the River Onyar, Girona is the largest city in Catalonia and is jam-packed with incredible museums, fantastic galleries, and looming Gothic churches. A trip to Girona provides even the most avid of history fans with a treat for the senses and the mind as it is rich in medieval architecture. Some of the greatest sights in town include the remains of a Roman fortress known Força Vella, the Arab Baths, and Sant Pere de Galligants and Sant Nicolau. Also not to be missed is an exploration of the landscaped garden paths of the Passeig Arqueologic and the imposing watchtowers of the walled Old Quarters. While history is a big part of Girona’s draw, don’t miss out on visits to the more modern activities in town, such as exploring the boutiques, dining on the flavors of Girona, and breaking a sweat at the city’s top sports infrastructures. Navigate the narrow and winding streets of the Albayzîn for an inner-city adventure or wander through the quarter of Realejo and its many house gardens. One of the absolutely essential pilgrimages for any visitor to Granada is a trip to the Alhambra. At the Alhambra, Moorish culture is alive and well and there is even an ancient spirit that dwells within the halls of this historic monument. Located in the Aragon region in the northeast of Spain, Huesca is the ideal destination for travelers who are keen on skiing, participating in adventure tourism, or soaking up the natural beauty of Spain. All of these activities and more are made possible by Huesca’s main attraction: the breathtaking mountainous area of Pyrenean, which is home to several resorts like Formigal and Candanchú, which come alive during the winter season as avid skiers flock to the city to challenge the slopes. Huesca is also home to exciting UNESCO World Heritage Sites like the Ordesa y Monte Perdido National Park and a portion of the Way of Saint James pilgrim’s route. From hiking through the national parks to exploring the historic quarters of Huesca, there is no shortage of activities to keep visitors completely immersed in their surroundings. 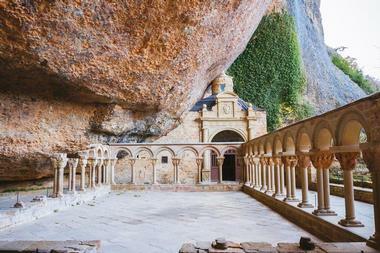 Whether you’re taking on your next big adventure sport, exploring Romanesque art, or setting off to discover architectural and historic treasures, Huesca is bound to make a memorable vacation destination. 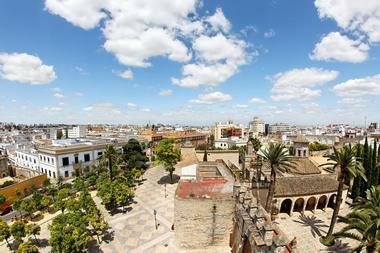 Jerez is, without a doubt, the ultimate destination for travelers desperate for a taste of Andalucía, old and new. The cradle of Spanish flamenco, Jerez’ streets come alive with the lively beat of flamenco music and the mesmerizing performances of quick-stepped dancers. Jerez is also the capital of the Andalusian horse culture and home to pure Spanish horse breeds from the Iberian Peninsula. Jerez is also a place of indulgence as it is home to some of the world’s most acclaimed sherries. Sherry production houses called “bodegas” are all over the city and produce some of the finest sherry in the world and offer fun yet informative tours. A symbol of aristocratic pride, the sherry culture is matched by the chic, modern, and fashionable side of Jerez and its stylish population. Rich in tradition and history, Logroño is one of Spain’s oldest cities and offers some of its best preserved historical architecture dating back to the Middle Ages. Its deep-rooted heritage is largely tied to the Pilgrim’s Route to Santiago de Compostela, as Logroño became an important stop along the route as well as a cultural crossroads. 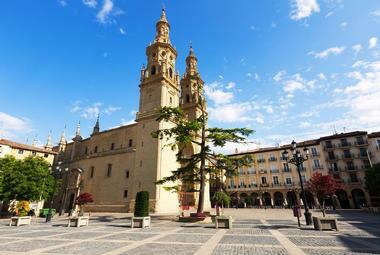 There are dozens of historic squares that can be visited in Logroño that are home to significant sites like the Cathedral of Santa Maria la Redonda, the Church of Santiago, and the Pilgrim’s Shelter. Apart from its historic attractions, Logroño is also quickly gaining traction as a culinary destination in Spain. The area is synonymous with fantastic Spanish wines and the rich soil and farming history of the area allow chefs to whip up local specialties like marzipan or almond pastries. Truly, a trip to Logroño is like taking a pilgrimage for the soul and the tummy. 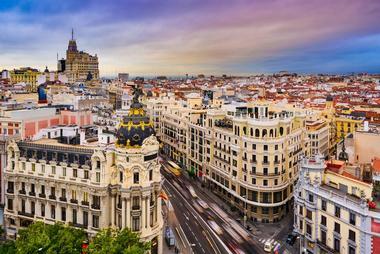 Located at the heart of Iberia, Madrid is a large and modern city that continues to grow every day. With a population of 4 million people and rising, what Madrid lacks in architectural gems is more than made up for by its stunning collection of art and culture. Though Madrid does have pockets of architectural and historical sites, the real draw of the city are its museums, like the Prado, Reina Sofia, and Thyssen-Bornemisza museums. In addition to these heavyweights, there are dozens of palaces and boutique museums that also have great collections of art. Perhaps the true draw of Madrid, however, lies in the culture and lifestyle cultivated by the locals. Relaxing and hanging out at a café or leisurely trips to the flea markets are favorite local pastimes, while parties, bars, and discos come alive in the evening. Soak up the incredible art collections of the city or simply do as the locals do. Whichever you choose to do, Madrid will definitely be one for the books. A slow-paced city in the southwest of Galicia, Ourense is the perfect destination for a quick getaway or a one-day pit-stop during a trip through Spain. The city is relatively quiet as many tourists tend to overlook this area, but Ourense’s old town is a treat for lovers of history and architecture. The best part? It can easily be explored on foot in just a day. Take a walk to the beautiful cathedral and other similar religious buildings or head to the Roman spa for a relaxing afternoon. Since the city is so compact in nature, venturing beyond the capitol city and exploring the provincial areas of Ourense is easy to accomplish. There are tons of activities for the whole family to enjoy, including trips to old monasteries and forts that remain impressive and well maintained. 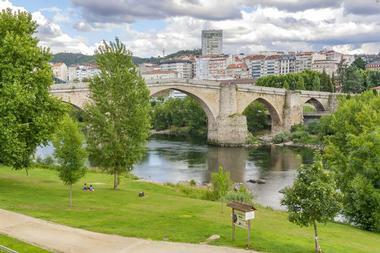 With distinguished streets and memorable sights, a trip to Ourense promises leisure and relaxation. 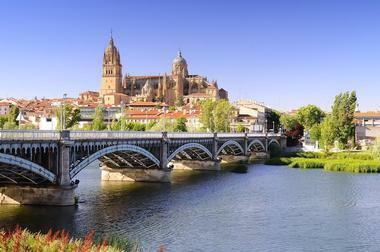 Salamanca is, without a doubt, a must-see city in Spain thanks to its rich history and utterly charming atmosphere. 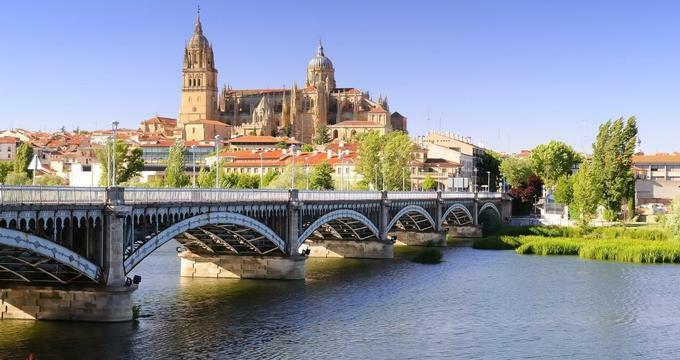 Located in the western part of Spain in the Castile y León region, Salamanca gained recognition and fame for its stand-out culture and student atmosphere. The city itself dates back to the Celtic era and is well known for both the ornate sandstone architecture that dominates the area and the Universidad de Salamanca, one of the oldest universities in Spain. For a taste of Salamanca’s history, head to the UNESCO World Heritage Site of the Old City. It is in the Old City that religious architecture of several styles can be found, such as the Iglesia de San Juan de Barbalos or the convents of Las Claras and Santa Teresa. On the other side of town, the streets come alive at night with the massive student population that calls the city home. To soak up the lively atmosphere of Salamanca, head to the university area and try out some of the many pubs and restaurants there. 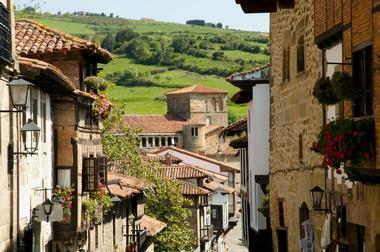 Santillana del Mar is located on Cantabria’s west coast and is one of the region’s most important cultural treasures alongside the Cave of Atlamira. The entire town is a living museum of a medieval village that was built around the Santa Juliana collegiate church between the 14th and 18th centuries, making it an incredibly enjoyable trip for history lovers. Santillana del Mar can only be explored on foot, but with the area being so small, this is the best way to navigate the city. Walk north through Santillana del Mar to discover gems along Santo Domingo Street or spend an afternoon people-watching in Ramon Pelayo square. Admirers of religious architecture will also enjoy a trip to the “Colegiata”, the most significant religious monument in the Cantabria region. Known for its fun-loving and charming locals and with some of the most joyous festivals in the country, the city of Seville sits on the banks of the Guadalquivir river. 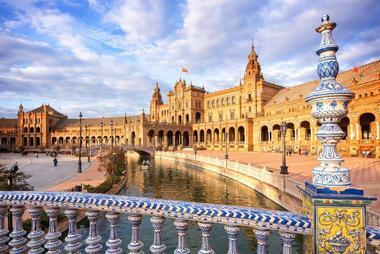 The largest town in southern Spain, Seville is also one of Europe’s largest historical centers and is home to treasures like the General Archive of the Indies, the Torre del Oro, and the Casa de Pilatos. Catch extraordinary performances by local entertainers at the annual Feria de Abril or watch the mesmerizing processions of the Semana Santa. As if a rich history and incredible festivals weren’t enough, Seville is also home to some fantastic tapas bars with deliciously crafted treats for foodies from all over the globe. 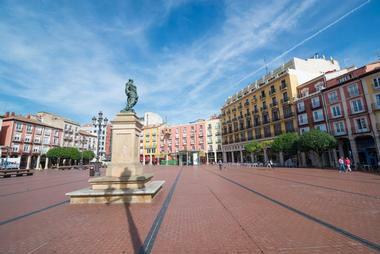 A memorable Mediterranean holiday awaits all visitors at the sunny and festive city of Valencia. 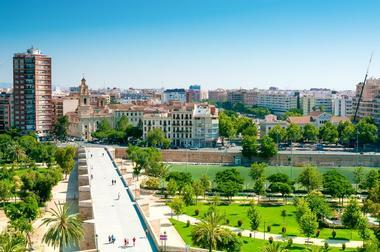 Spain’s third largest city, Valencia is magnificent in all its aspects. Not only is Valencia an utterly livable city, it’s also home to a thriving foodie scene, some of the country’s best nightlife, and incredible culture. The city has also come to the forefront of innovation as it diverted its river and built fantastic feats of architecture in its place alongside a gorgeous winding park. In the midst of brilliant modern architecture and manicured gardens, Valencia’s history and culture are eternalized in amazing museums and an old quarter full of character. Much to the delight of foodies and gastronomes from all over the globe, Valencia is surrounded by fertile farmland, which is a main contributor to the city’s status as the home of paella.